Funny shirts with dedicated messages aren’t something new when it comes to birthday gifts. When somebody special in your life turns 50, they can make an awesome present. You can choose whatever message you like, one that will focus on the receiver’s personality. Something like “Fifty and Fabulous” or “It took me 50 years to get to look so good” is perfect for 50 year-olds who don’t believe they’re getting old. 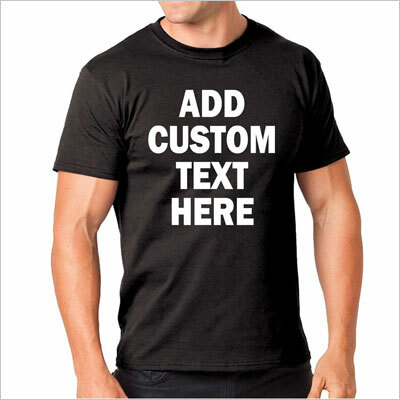 You can also opt for something that emphasizes the “getting old” status – in a funny way, of course – like “In dog years, I should be dead.” These customized shirts can make the most creative 50th birthday gift ideas for someone dear to you. 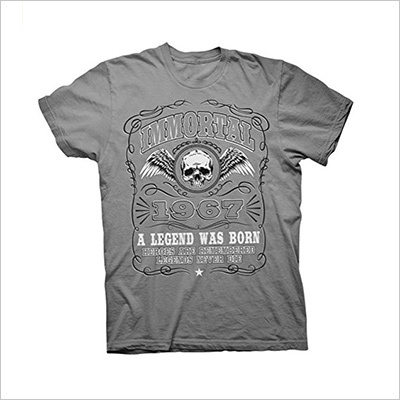 Another great t-shirt idea for people who have just turned 50, this one emphasizes the pride the wearer feels for being 50, older, but wiser, and definitely more epic. This shirt has a cool design and carries a nice message, so you can’t go wrong with it. Anyone born in 1968 will be proud to wear it. This is a great gift idea for when you have no inspiration and don’t know what to write on a t-shirt. Some people aren’t that willing to get out of the house wearing a shirt stating their age, or some wise opinion regarding their age, but having a fun item from their dear ones around the house might pull some smiles out from them on a daily basis. A coffee mug with a message works every time for those with a sense of humor, and you can let your imagination get wild while composing the text. “Best vintage vixen mom ever” might do the trick, together with a “Keep calm, I’m only 50” text. 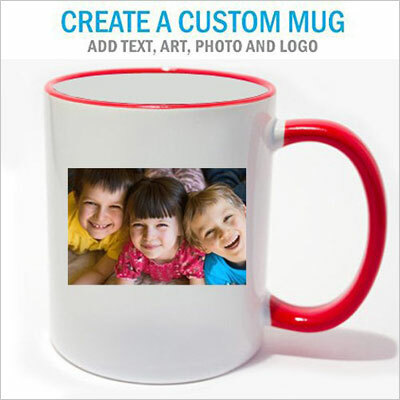 This is another creative 50th birthday gift idea for a mom, dad, husband, or wife. This is meant as a funny prank for all those who complain that getting 50 means starting on the road of decay. 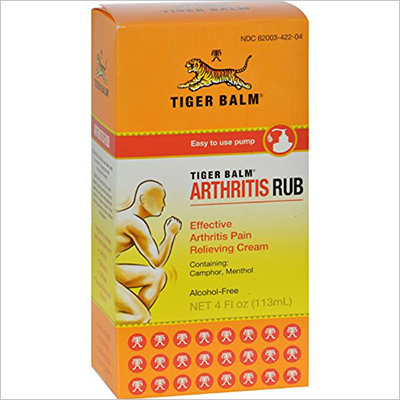 You can put together a gift basket with all the stuff “old people” need, not just arthritis rub, from anti-wrinkle cream, to adult diapers, dental cleaning products, a magnifying glass, a fake dental prosthesis, an old hearing cornet, and so on. Not all of the items are useful to the receiver, but wrapped together nicely, and accompanied by good laughs and cheer, they might make the receiver remember their 50th birthday with a smile. They are great as funny 50th birthday gift ideas if they accompany another more serious gift, or a similarly hilarious one. A traditional gift basket with goodies goes amusingly well with a printed certificate meant to crack some laughs. The internet is full of funny birthday certificate templates, and if you’re the originality seeker type, you can come up with your own. 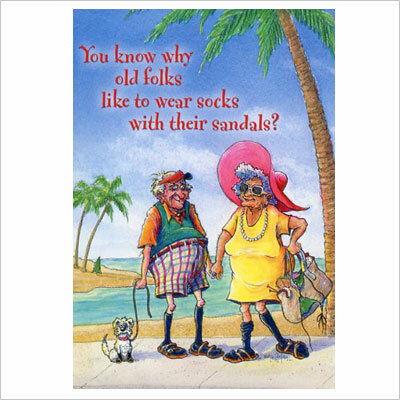 You can type a funny quote about age, or buy this hilarious card picture above. There’s nothing that says “50 and loving it” quite like wearing it on one’s lapel, shirt front, or car bumper. The best personalized badges are those you make yourself, so pick up this button machine starter kit. Alternatively, you can simply print out some ideas for badge slogans, and affix them to a safety pin in any number of ways. These slogans work just as well for stickers, which your 50-year-old friends can use on the bumper of their car. The badge-making kit makes a great 50th birthday present, whether you use it to create badges for the birthday boy or girl, or you gift the kit directly. 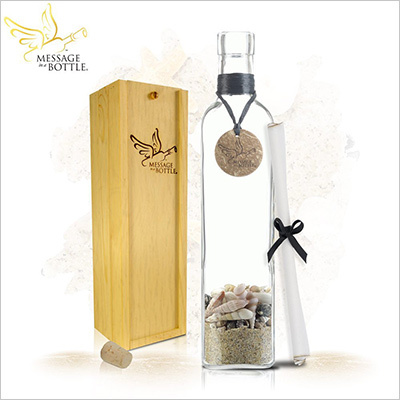 You can buy a message in a bottle online, and personalize it to perfectly suit the personality and tastes of the recipient. We recommend opting for a funny message, to distract the receiver from the inevitable passage of time, rather than some lofty and serious verse, which risks alienating them. Either way, the bottle itself, as well as the paper, which comes with real burnt edges, is going to make your friend, parent, or sibling smile.